Wrapping up our series on Jakarta EE, we spoke with Mark Little, CTO of JBoss Middleware at Red Hat, exploring new technical directions for the platform and the new governance approach being modeled by the Eclipse Foundation and its members. Check back every Wednesday (and occasionally on other days, like today!) for a fresh episode, and if you're interested in being involved as a guest or have feedback for our hosts, scroll down to the bottom for contact information. Also be sure to check out the previous episode in our Jakarta series, where Travis and Travis both spoke with Ian Robinson, IBM WebSphere chief architect and distinguished engineer — who is heavily involved with Jakarta EE as well as the MicroProfile project — to talk about changes afoot for Jakarta EE and implications for the Java community. 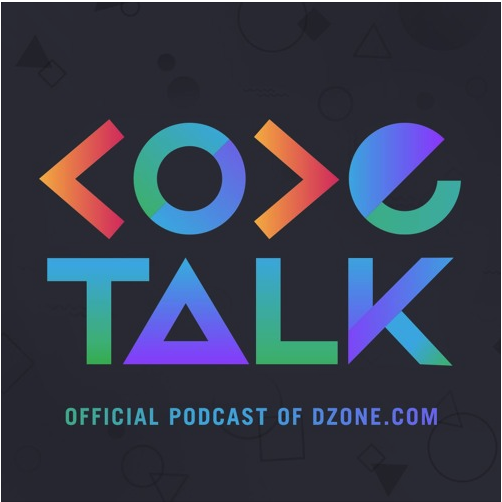 In this episode of CodeTalk, we wrap up our series on Jakarta EE — exploring new technical directions for the platform and the new governance approach being modeled by the Eclipse Foundation and its members. We talk with Mark Little, CTO of JBoss Middleware at Red Hat and long-time participant in the Java ecosystem as well as standards bodies like OASIS. Defining a governance more appropriate for enterprise Java in an Open Source dominated world. Evolving Jakarta EE into a more dynamic, iterative, and adaptable platform for the 21st century. The rise of Linux containers and Kubernetes as a cloud deployment model, and the nature of how Jakarta EE is likely to innovate to support cloud-native use cases. The rise of Linux containers and Kubernetes as a cloud deployment model, and the nature of how Jakarta EE is likely to innovate to support cloud-native use cases. Insights on work being done to make the JVM function better in a Kubernetes and container world, and how that will be reflected up through the Jakarta EE stack. How -aaS models are driving new architecture requirements for no longer assuming that frameworks and business services are co-located. A retrospective on the rise of microservices architecture, dating back to CORBA standards, up through the present, and opportunities for Jakarta EE to evolve for microservices. What does success look like for Jakarta EE? A look at key metrics to watch on the reinvigoration of the platform. For now, stay tuned to DZone for weekly episodes released each Wednesday (and, as is evident, occasionally on other days.) And, if you'd like to contact the showrunners to get involved as an interviewee or just simply share your feedback, feel free to message Travis and Travis here: codetalkpodcast@gmail.com.